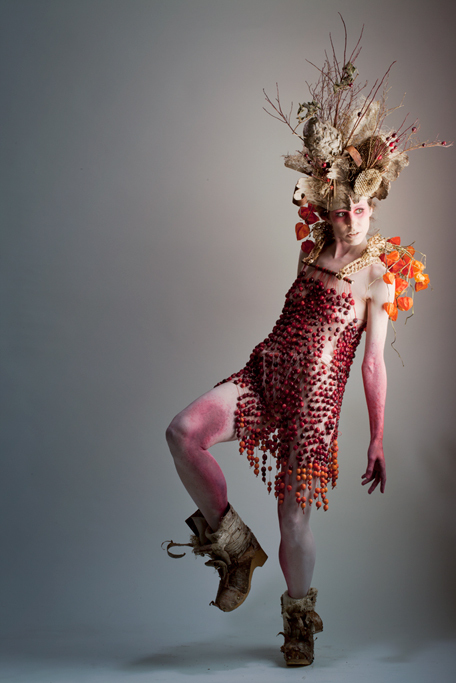 The outfit consist of a beaded dress made with fresh cranberries, boots made from Birch bark and a headdress containing a wasps nest. 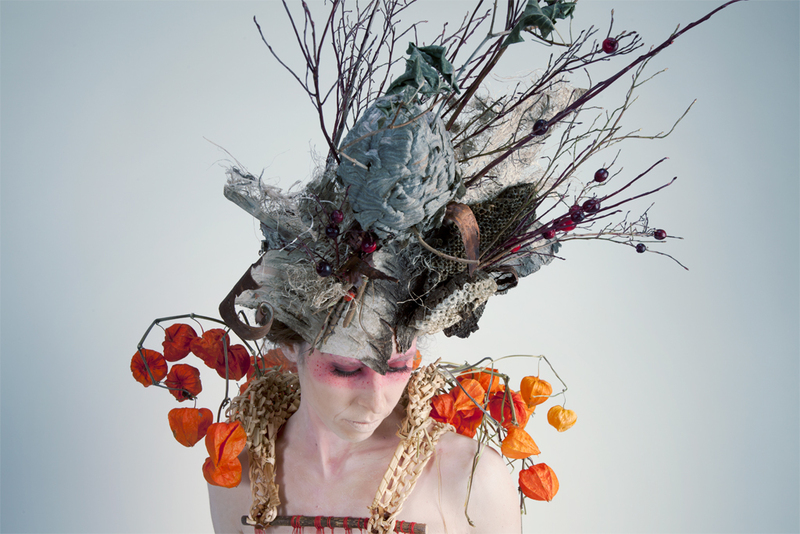 Headpiece is made from Birch bark, wasp nest, honeycombs, Blueberry branches, Amate paper. The collar is knitted Cattail with Chinese Lanterns. 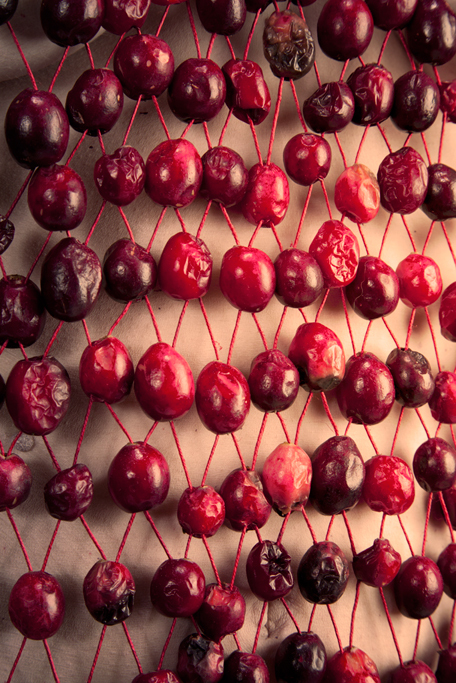 The Cranberry weave is based on a simple multi-strand technique. 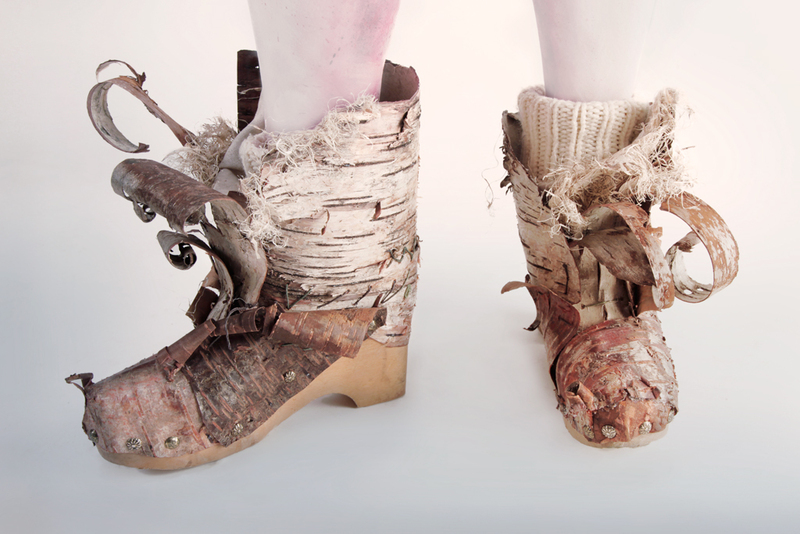 The boots were made from Birch bark over a wooden clog and lined with linen fabric. 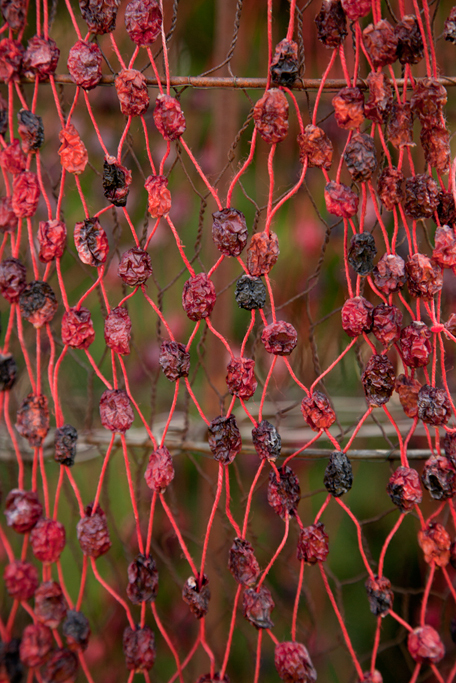 The cranberries have dried, leaving the basic shift dress intact after the dance. During the dance cranberries were squished and Chinese Lanterns went flying. 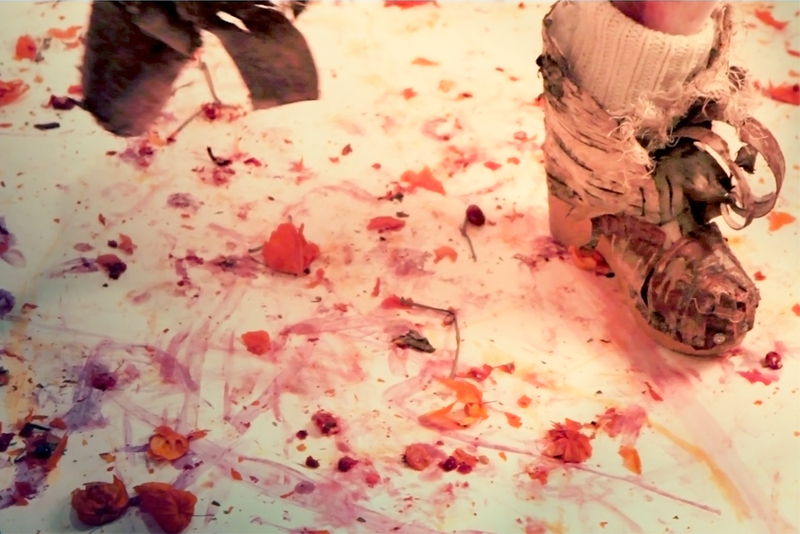 Abstract painting with your food on the dance floor. 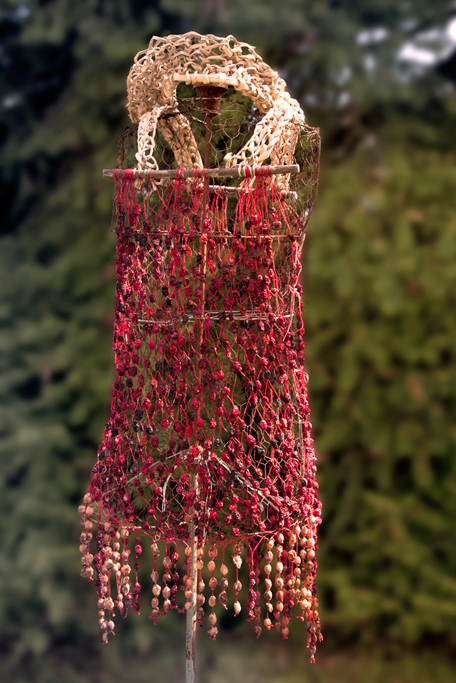 The Cranberry Mini is the perfect ensemble for an organic harvest season ball. 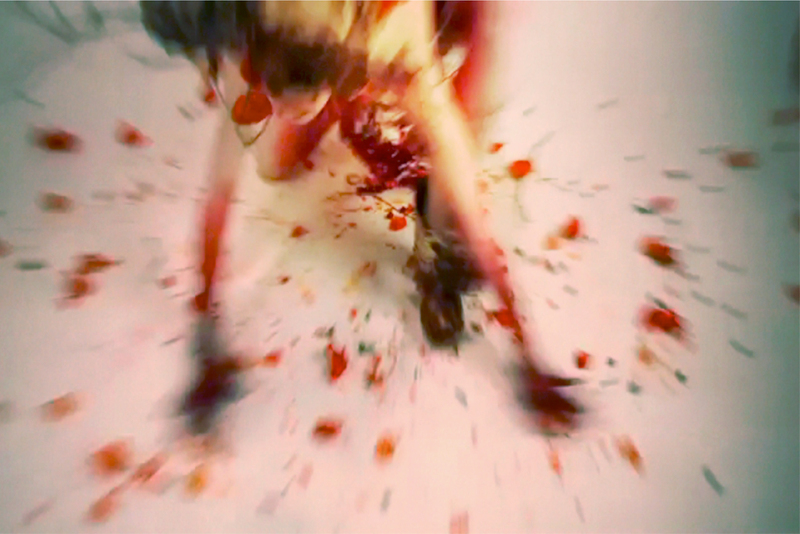 The design is based on the iconic shift dress of the 1960’s, which had no waistline and was therefore easy to dance in. 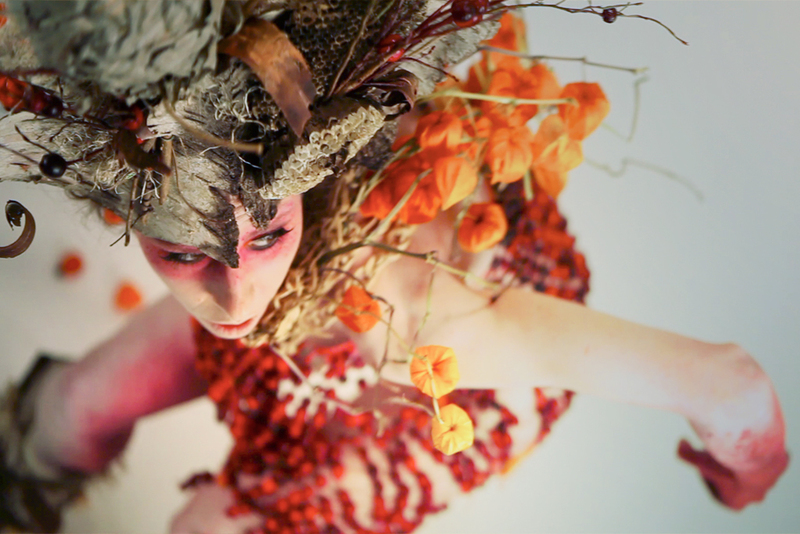 The intention of this outfit made with super antioxidant cranberries was that it would be trashed as the dancer wore it and the juice from the fresh fruits would become a pomade for the skin. Cranberries are used to make juice, jams and wine but they also have many medicinal and cosmetic uses.